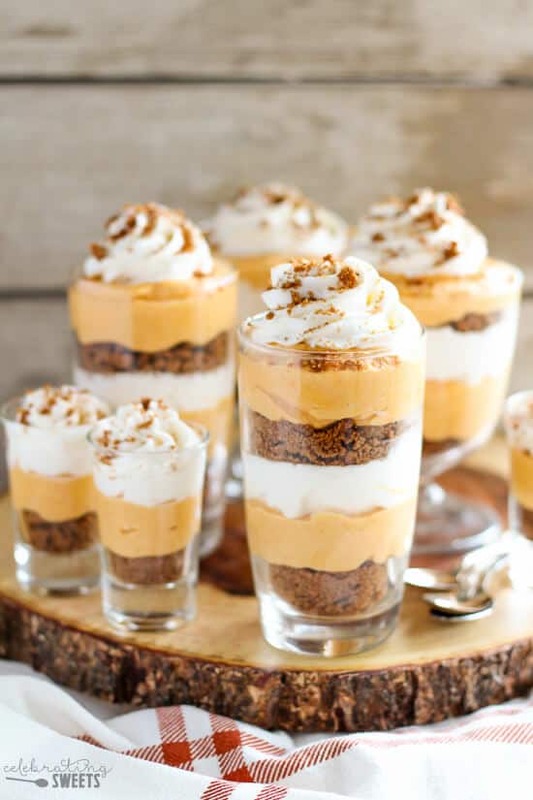 Pumpkin Cream Pie Trifles Dessert – Pumpkin cream cheese filling layered with whipped cream and crushed gingersnap cookies. Similar to pumpkin pie and pumpkin cheesecake, you will love this no-bake dessert perfect for Thanksgiving! November is here! 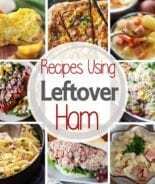 Are you planning your Thanksgiving menu? I’m looking forward to cooking with my mom this year. Our menu isn’t finalized yet, although I’ve had my mind on our dessert spread (big surprise, right?). Maybe a Peanut Butter Trifle Recipe? 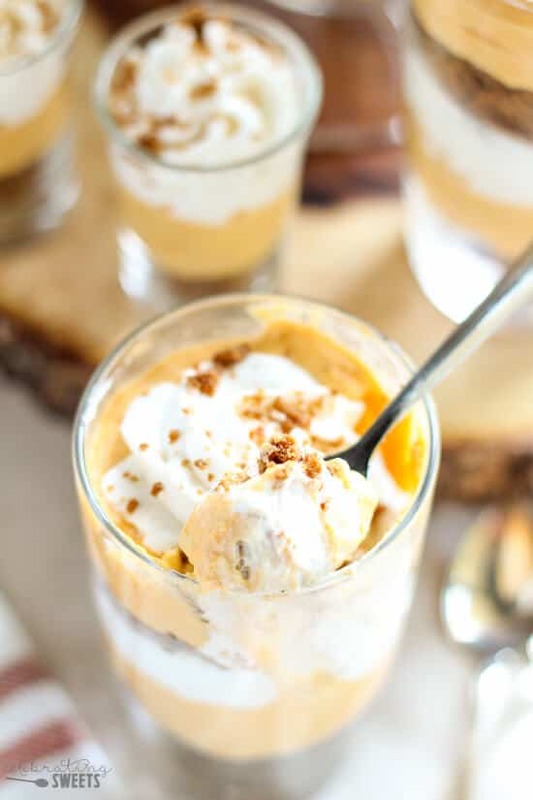 But wait, Pumpkin pie is a Thanksgiving dessert staple, and if you’re looking to switch things up this year these trifles are a fun twist on pumpkin pie. An added bonus? They’re no-bake! 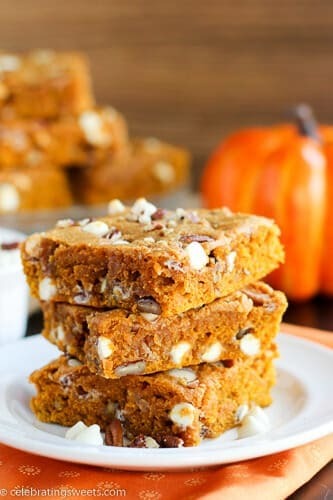 Simply crush cookies, whip cream, combine the pumpkin mixture and assemble! These trifles are like a pumpkin pie /pumpkin cheesecake hybrid. The pumpkin filling is made with pumpkin puree, cream cheese, cinnamon, and powdered sugar. 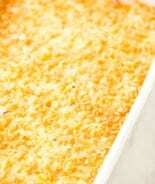 It is sweet and slightly tangy, just like pumpkin cheesecake! 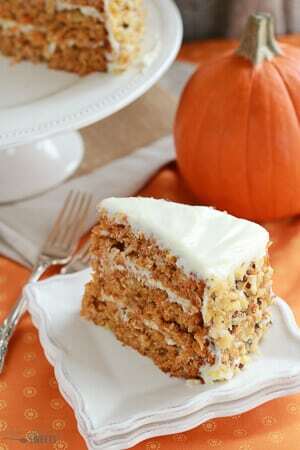 The pumpkin filling gets layered with freshly whipped cream and crushed gingersnaps. The gingersnaps add a slight crunch and gingery flavor. 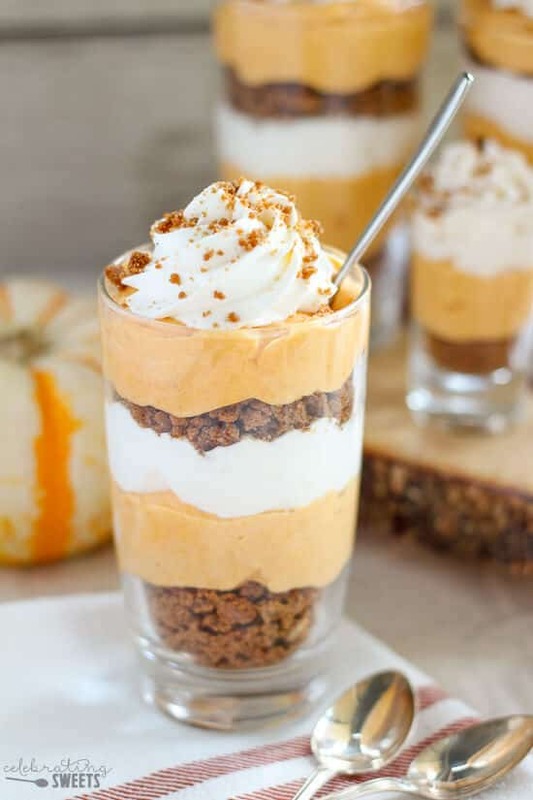 Between the smooth pumpkin filling, the sweet whipped cream, and the crunchy gingersnaps, these trifles are absolutely divine!! 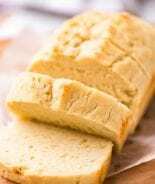 They are perfect for serving to guests or making for your family if you don’t feel like baking a whole pie. Feel free to scale down the recipe if needed. I like to serve these trifles in a variety of glasses. 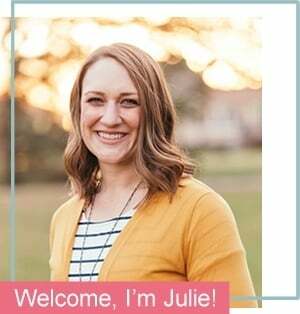 I use individual trifle dishes, small drinking glasses, little mason jars, or shot glasses. 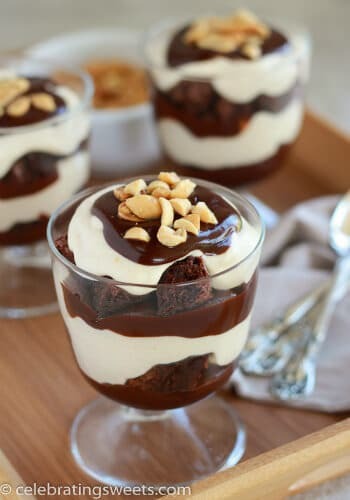 If you’re making these trifles for a holiday and you have several other desserts, I highly recommend making them in shot glasses. 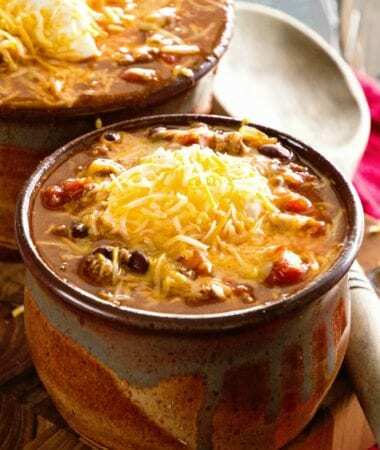 It makes the perfect 3 bite dessert that allows guests to try other things. When I made these for my family, all it took was one bite for us to feel like the holiday season was upon us. 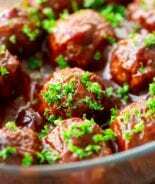 I love how certain foods and flavors awaken memories from the past. I hope you are surrounded by delicious food, sweet treats, and those you love this holiday season. Let’s (virtually) clank our spoons together as we dive into these Pumpkin Cream Pie Trifles. Cheers! 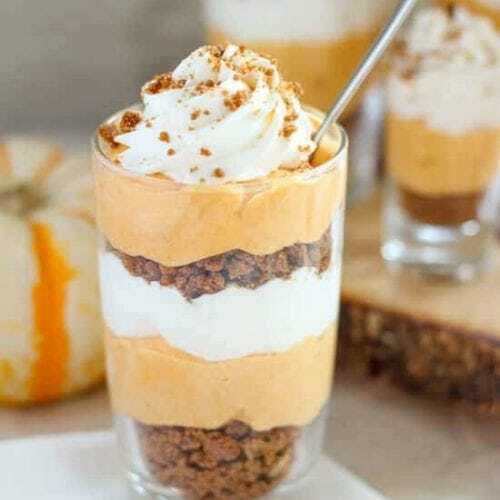 Pumpkin Cream Pie Trifles Dessert - Pumpkin cream cheese filling layered with whipped cream and crushed gingersnap cookies. Similar to pumpkin pie and pumpkin cheesecake, you will love this no-bake dessert perfect for Thanksgiving! 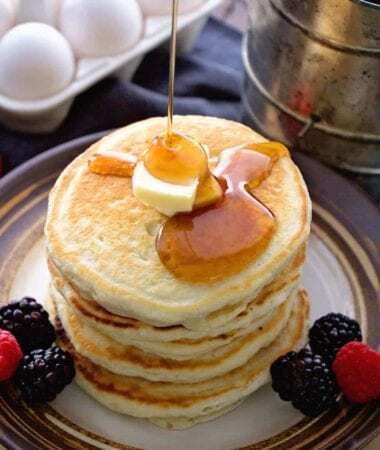 Using a hand mixer or stand mixer, beat cream, ¼ cup powdered sugar, and vanilla extract until soft peaks form. In a separate bowl, beat cream cheese, pumpkin puree, ¾ cup powdered sugar, and cinnamon until smooth and combined. Fold ½ cup of whipped cream into pumpkin mixture. 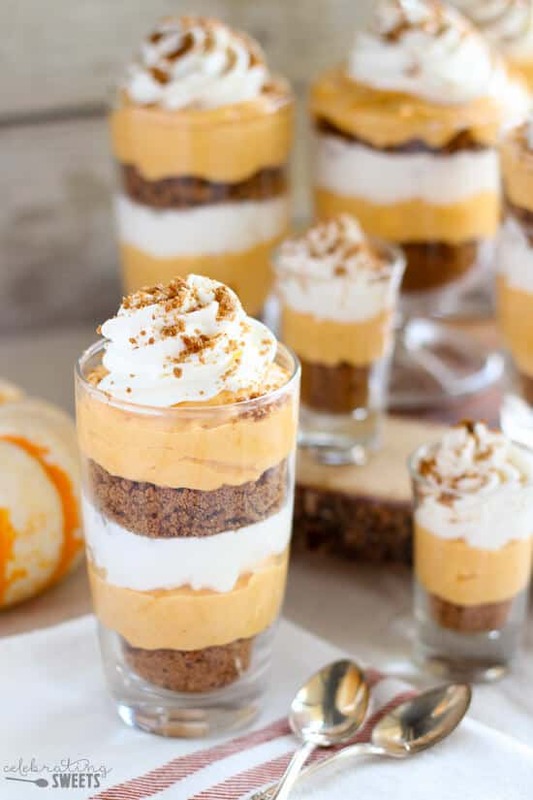 In small glasses or individual trifle dishes, layer the crushed gingersnaps, pumpkin cream, and whipped cream. Top each portion with a sprinkling of crushed gingersnaps. These trifles are best served within several hours of assembling. If they sit longer than that the gingersnaps will lose their crispness. 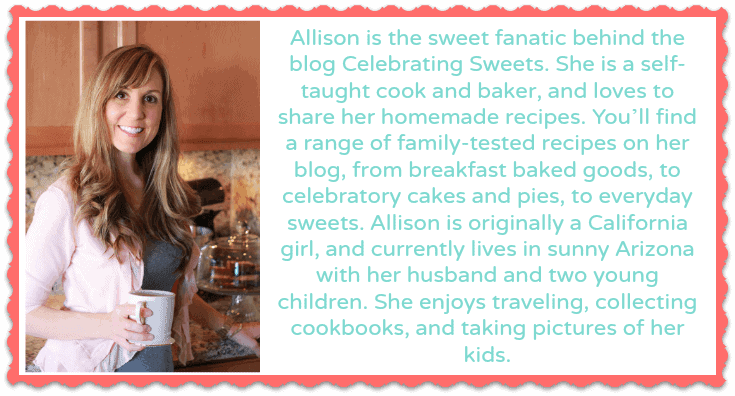 These are so cute Allison! I go nuts for anything with pretty layers — these are so much fun! These are so cute, and I’m obsessing over those little tiny ones!! They sound amazing, and so perfect for Thanksgiving. These trifles are so cute! 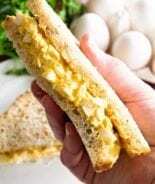 I love all the pretty layers! “pumpkin puree”, can that work too? I am talking about the parfaits.